This revolutionary Chemical Skin Peel has been scientifically developed with specific combinations of natural acids to produce the optimum results in reducing pigmentation. Depigmenting Peel is the most effective way to achieve a brighter and even skin tone, free of darkspots and hyperpigmentation, is to eliminate skin cells rich in melanin and prevent the darkening of the new skin cells. Especially designed to target sun damage and hyperpigmentation problems. Depigmenting Peel penetrates the skins pigment cells (melanocytes) to gently and effectively reduce the appearance of unwanted discolouration, for a more even skin tone. L-Lactic acid – an alpha-hydroxy acid and an effective depigmenting agent, proven to reduce melanin formation. Phytic acid – active ingredient with anti-tyrosinase activity, reducing the melanin content of the skin. Can I go out into the sun after having a Depigmenting peel? How many Depigmenting peels will I need? This is a difficult question to answer and depends on your skin and what you are looking to improve. Individually skin care programs will be designed to suit you by our highly trained professionals. 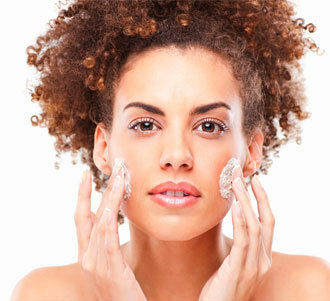 You can use skin peels individually or as a combination treatment. Skin Peels can be used to complement the acne laser treatment and laser skin rejuvenation treatment to produce fantastic results. This will be discussed at your FREE consultation. There is a mild degree of “tingling” or a slightly itchy sensation while the Depigmenting Peel is in contact with the skin. Upon neutralizing the peel, the skin feels fresh and smooth without discomfort. Yes, work or other normal activities may be resumed immediately. How long does it take to have a depigmenting skin peel? About thirty minutes in total, hence it has often been referred to as “the lunch time peel”.